How can you measure the positive impact of television on opera audiences. (Yes, there has been a positive impact!) And how can you measure the impact that The Tonight Show with Johnny Carson had, in bringing to the masses stars like Beverly Sills and Marilyn Horne, and showing everyone these people with amazing voices were regular folks. So this post is dedicated that great man of television, Johnny Carson. A young whipper-snapper asked me if I thought we would see today's opera singers on TV variety show like this. I have to say it's probably not possible. 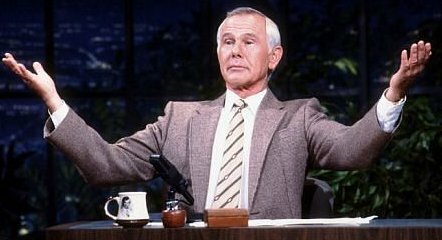 The Tonight Show was 90 minutes long when I was a kid, and segments were very leisurely. Some of the singers got to sing two pieces, with an interview in between. While I don't even know if there are television variety shows still living nowadays, I don't see that kind of time given to a single guest, let alone one who might risk advertising dollars as an "elite" guest. I miss the old tonight show. Here's Bubbles in 1973. I wish they'd included the interview. I know that she was guest host at least once--I'll see if I can find a clip of that as well.